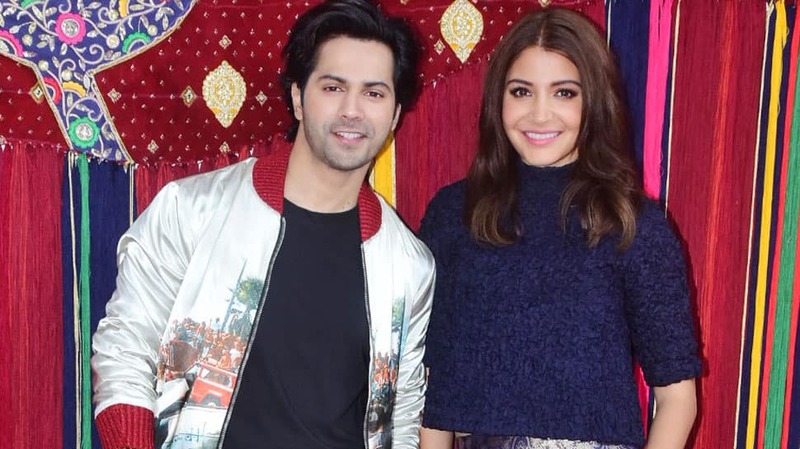 Varun Dhawan and Anushka Sharma at Sui Dhaaga Trailer launch. Anushka Sharma and Varun Dhawan have teamed up for the first time for a film. The two very talented actors will be seen in Sharat Katariya's Sui Dhaaga - Made in India as a married couple. As Mamta, Anushka comes across as an ordinary woman with an extraordinary vision. She inspires her husband to take up a profession that will not only make him self-employed but also help him create a niche for himself. Varun and Anushka at Sui Dhaaga Trailer launch in Mumbai. Varun Dhawan and Anushka Sharma during Sui Dhaaga Trailer launch at Yash Raj Studious. Sui Dhaaga - Made in India has been directed by Sharat Katariya. Varun and Anushka dance on stage. Anushka and Varun launched the trailer of their film at the Yash Raj Studious in Mumbai on Monday. Varun and Anushka strike a pose. The film has been produced by Maneesh Sharma and presented by Yash Rj Films.